OTT is here to stay: As more and more consumers seriously consider cutting the cord—by 2022 the number of OTT service users in the U.S. is expected to reach almost 200 million—marketers are increasingly drawn to OTT as a more targeted alternative to linear TV advertising. Sponsored by DISH Media Sales. 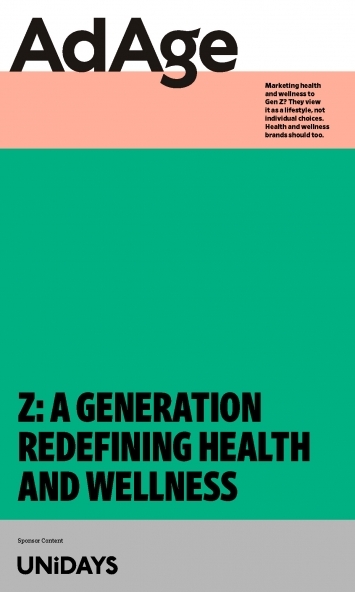 Marketing health and wellness to Gen Z? A new survey by Student Affinity Network UNiDAYS finds that this generation born in the mid-1990s sees physical fitness, healthy eating and mental well-being as interlocking pieces in the greater holistic view of their lives. This free white paper offers health and fitness marketers tips on how to win over this influential generation not just now, but for life. Sponsored by UNiDAYS. 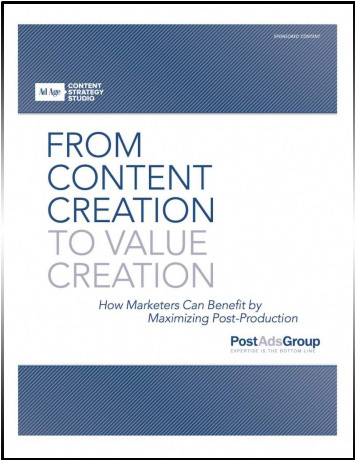 Marketers are grasping the power of content, whether owned, paid or earned, and its ability to connect with consumers through a vast array of channels. But with this opportunity comes challenges. 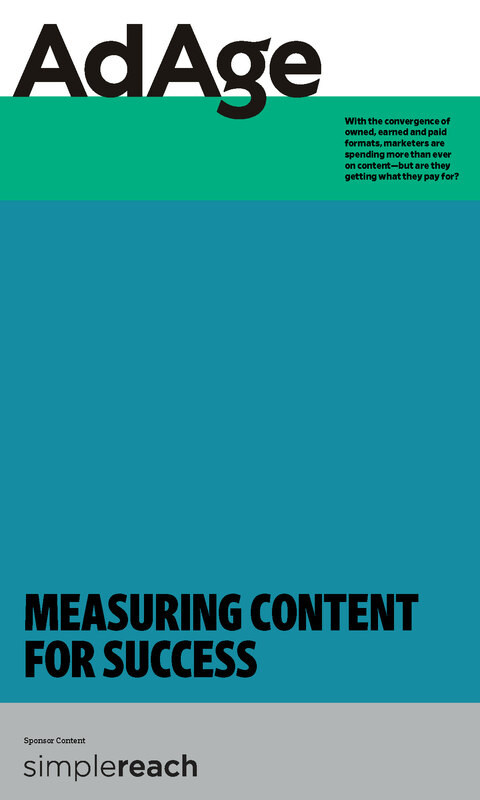 Because with the new emphasis on content, marketers now need to abandon traditional measurement methods and adopt a consistent, cross-channel approach to measuring and improving their content success. Sponsored by SimpleReach. 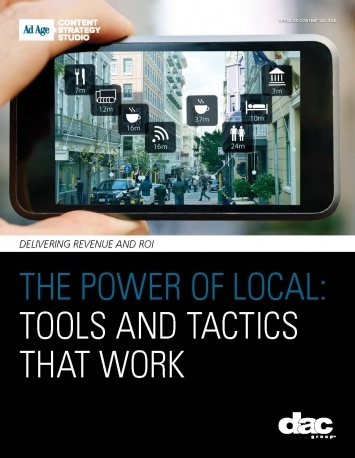 Local marketing is growing as an increasingly critical component of personalized engagement with customers. Yet the second annual Ad Age-DAC survey of marketers found that some are pulling back just when they need to be investing more in local. Why? 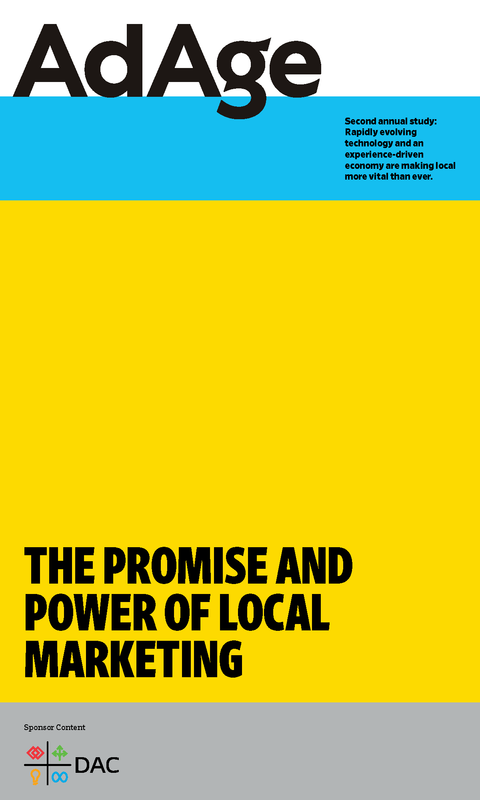 Because they view local as too hard—but those marketers that neglect local for short-term ease will lose out in the long run. Sponsored by Dac. The fast-changing, multilayered digital world has created challenges for even the world’s largest marketers. Here’s how a creative management platform–a cloud-based technology that enables real-time, actionable creative production, distribution, measurement and optimization–can help. A creative management platform can provide a powerful creative lever to make advertising more effective. Sponsored by Celtra. Savvy marketers understand that a successful social strategy goes well beyond organic posts and number of fans. 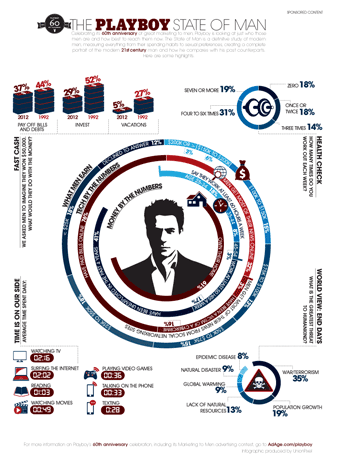 Social offers a variety of paid, owned and earned media elements, each with a vital role to play. Here are successful case studies that show you what specific tools, from Facebook Carousel ads to Instagram Link ads, delivered to boost e-commerce efforts, raise brand awareness and drive sales. Over-the-top television is growing rapidly as traditional TV falls victim to increasing numbers of cord-cutters, cord-nevers and cord-shavers. With viewers watching on laptops, tablets and smartphones and via game consoles and other attached devices such as Apple TV and Roku, this form of connected TV is catching on quickly—giving marketers new opportunities to pinpoint specific audiences for select brand messaging. Here’s what you need to know to take advantage of OTT. Do you understand and know how to evaluate the location data that you use for your mobile campaigns? 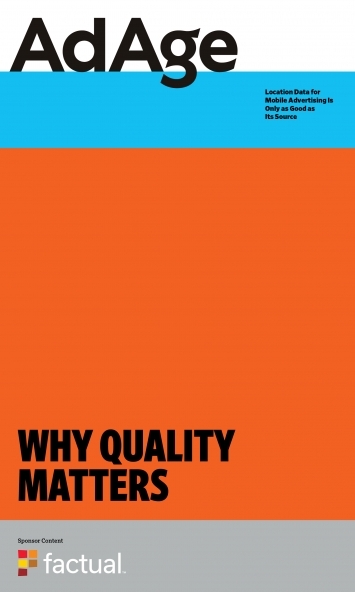 Respondents to an Ad Age survey conducted on behalf of Factual found that data quality is a top concern of marketers and agencies. Learn what questions to ask to discover how location data is sourced, how to best use this data in campaigns, and what metrics you should be using to measure results. Digital video continues to gobble up a larger and larger share of marketers’ media spend and eat into traditional TV budgets—with the trend projected to only accelerate. With that spending increase, a sizeable majority of advertisers believe that, as with TV, context in digital video matters; they are now focusing more intensely than ever on contextual targeting when placing ads on digital platforms. 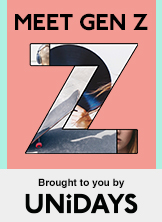 A new study from Ad Age and ZEFR reveals what the market thinks about contextual targeting. As brands increasingly turn to programmatic media buying to efficiently target consumers, they’re finding that while technology is important, their biggest challenge is figuring out the best way to manage—and staff—this growing investment. Though substantially different in many ways, digital audio and native advertising share the promise of giving users an organic experience—more seamlessly integrated into content, and better aligned with the audience’s current activity and interests. 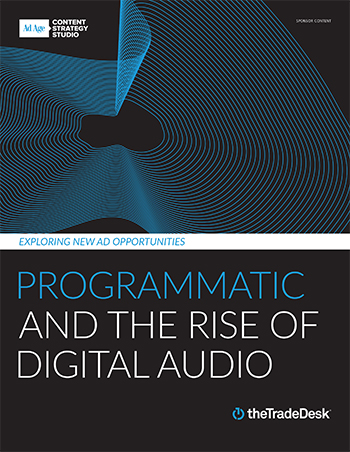 Both publishers and programmatic technology providers are putting their weight behind native and audio as key elements of advertisers’ overall media strategy. 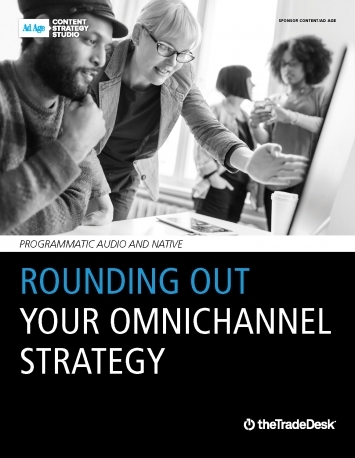 This report gives you what you need to know about buying programmatic audio and native. 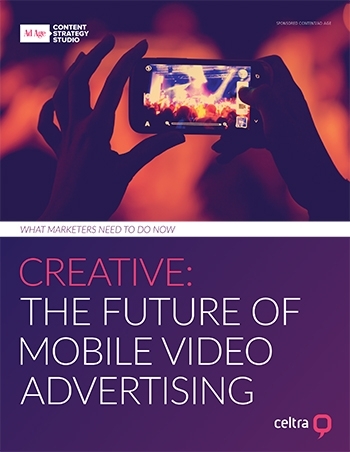 Brand advertisers are making mobile video one of the fastest growing segments in digital advertising. But for this growth to continue, new emphasis will need to be put on creative to meet the rising expectations of consumers and take advantage of the medium’s unique opportunities. 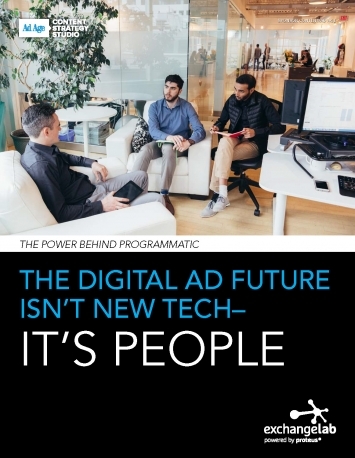 The 2016 Ad Age-Trade Desk Programmatic TV survey reveals how far the industry has come since the first survey in 2015—and suggests where it’s headed as advances in data and automation fuel adoption of programmatic buying and selling for TV advertising. 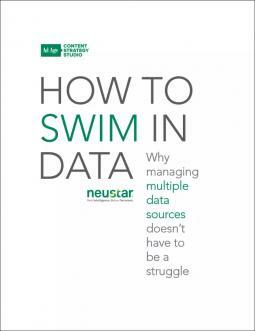 While the data management platform (DMP) has been hailed as the cure-all for the modern mar­keter’s data woes, many marketers are disappointed in their DMPs, according to a new Ad Age-Neustar survey. But this is changing: An evolution among DMPs, combined with different approaches by marketers, offers hope that overall expectations for DMPs will soon become reality. 2015 is a banner year for moviegoing and cinema advertising. North American box office sales are well on the way to topping the $10.9 billion record set in 2013. Even so, some analysts question whether the silver screen can continue to deliver a golden opportunity for marketers who want to advertise at the movies. Here are seven top myths about moviegoing and why savvy marketers know to ignore them. Conversion marketing isn’t just a trend or tactic. It’s a fundamentally new way to approach marketing—yet it’s based on the most timeless of principles: that the key to success in business is to drive sales today, while building stronger brands for tomorrow. The Black Friday-Cyber Monday weekend is the blockbuster sales period for marketers, not just as the holiday launching point, but also as a contributor to overall annual sales. Savvy marketers are starting early and turning to omnichannel optimization. Learn what you need to do now. As technology permeates every aspect of marketing, IT is quickly becoming a strategic partner to the marketing team—or it should be. All too often, IT and marketing are facing off rather than working together. Here’s what marketers need to know to work well with the tech team. 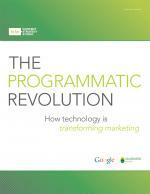 Programmatic buying models and technologies are transforming traditional linear television. 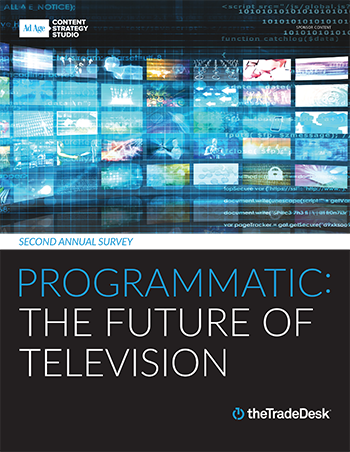 As its adoption accelerates, it’s clear there will be a large role for programmatic buying and selling in TV adver­tising—and its role may come sooner than you realize. 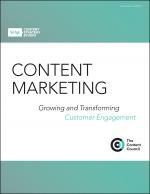 Content marketing continues to expand, providing marketers with new opportunities to connect with customers. 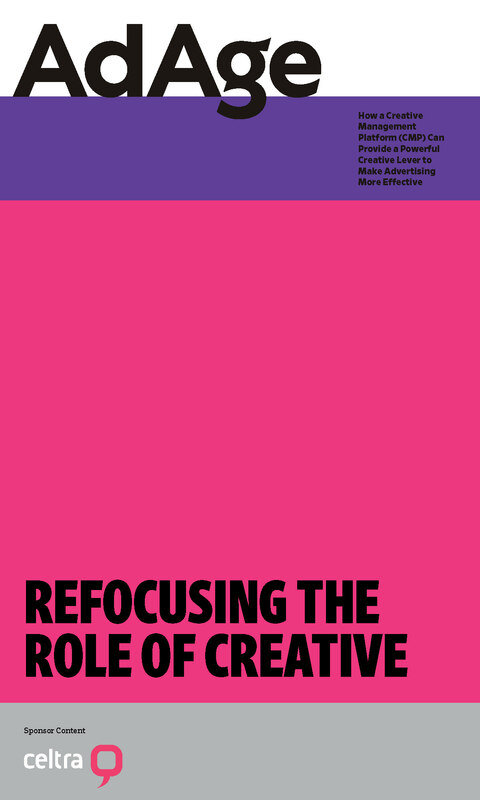 In the second of two white papers covering a survey from The Content Council and Ad Age, marketers discuss the possibilities and the challenges of this important new strategy. Despite today’s increasing focus on video content—and the enormous sums spent on it—few marketers have figured out how to take full advantage of these important assets. Yet video post-production is one key area that offers brands an opportunity to boost output while streamlining costs. Conversion marketing offers a powerful way to connect storytelling to transactions, solving key challenges marketers have faced for years: improving accountability, gaining insight into marketing ROI and quickly driving sales in an increasingly chaotic messaging environment. Content marketing is quickly becoming a key marketing strategy as brands look to engage customers and build loyalty. A new Ad Age-The Content Council survey explores the growing importance of content and how it’s expanding and evolving. 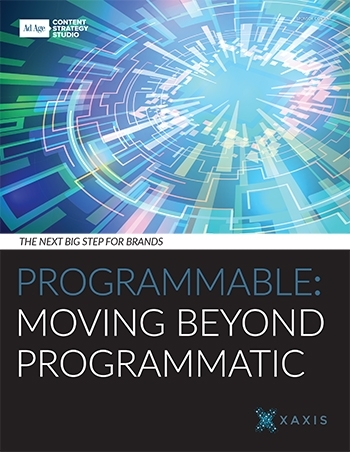 Having transformed advertising markets and practices within the U.S., the programmatic revolution is already well underway in the rest of the world. 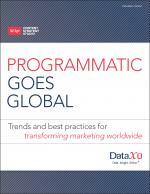 Using data and interviews, this white paper explores the state of global programmatic today, including the strategies and tools that will help marketers drive growth. Social media has become a critical part of brand marketers’ communication strategy—and it changes almost daily. In this Guide to Social Media Advertising, we offer a look at the key areas that marketers, agencies and media companies need to understand, both right now and going forward. Today's marketers need to maintain a consistent view of how people interact with their messages across these devices and platforms, and programmatic buying is a critical step in this process. By bringing together data to paint a holistic view of the consumer, programmatic drives better campaign performance as well as media buying efficiencies that free marketers to focus on more strategic and creative initiatives. Marketers are drowning in data, with no respite in site. In a 2014 survey conducted by IDG, companies said they expected the amount of data they manage to surge by 76% within the next 12 to 18 months. But managing all this information doesn’t have to be a struggle. Find out how. Today's shopper uses a laptop. And a tablet. And a smartphone. It's getting more and more unusual for a shopper's decision-making process to involve just one device, one online touch point. This means, there's a growing need for advertisers to have an effective cross-device strategy that can provide them with visibility into what mix of advertising will work best for them. When making digital buys, marketers expect their messaging to be seen. But more than 50% of digital ads are not viewable, according to some estimates. To solve this problem, the industry is struggling to set standards—and Publicis Groupe’s VivaKi is committed to solving the issues surrounding viewability. With shifts in technology that allow consumers to control how they engage with brands, marketers need to actively own their online engagement strategies. This white paper explores six key insights for marketers looking to evaluate, modify and manage those online engagement strategies. Every marketer wants to influence a purchase decision by delivering a highly customized message to a prospective customer--and, thanks to today's technological advances, marketers can do just that. Location marketing offers the ability to precisely identify and put the right product and offer in the right place and time for the buyer. CES has always been about what's next. But today's smart marketers know that CES is where they need to be to gauge today's trends and tomorrow's technology to find out what their brands should be doing right now. 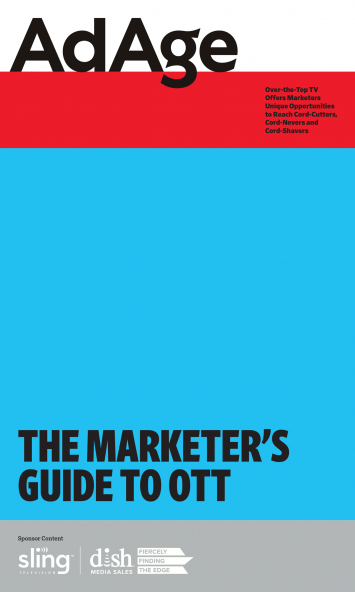 Here, top execs explore the key areas that marketers need to know. Marketers today are looking beyond traditional marketing to engage with consumers in a way that allows them to "feel" the brand. And it's paying off: Those taking the experiential plunge are gaining deeper, more genuine connections with customers. As the Council of Public Relations Firms marks its 15th anniversary, key PR execs reflect on industry highlights and strengths as marketers expand into content, Big Data, social media and other critical areas that PR firms are well-positioned to handle. MEC has created MEC Momentum as a new approach to help brands understand the continuous cycle of consumers' purchase decisions. Here's how it works. This white paper explores how B2B marketers can take advantage of new technology designed specifically to help them reach their target audiences and turn them into customers. An IPG/Ad Age survey finds that the typical agency workforce includes an even mix of men and women. But look deeper, and you'll find some inequities. Success in marketing increasingly sits at the intersection of creativity, digital data and technology-as the award-winning work at the Cannes Lions International Festival demonstrates. Social media is becoming an increasingly important part of today's marketing mix. In an exclusive survey with Ad Age, Wildfire explores how top marketers are preparing their social media strategies for 2014. Univision knows how to connect with Hispanics, the U.S.A's fastest-growing demographic, serving as the gateway for marketers wanting to reach this influential audience. With technology transforming how marketers do their jobs, Starcom MediaVest Group is redefining the Consumer Electronics Show—as the Consumer Experience Show. With Black buying power at an estimated $1.038 trillion annually, marketers need to know how to best reach this savvy, trend-setting group. The Cabletelevision Advertising Bureau's "In Plain Sight" offers a market-first collection of the most in-depth Black consumer research available to help marketers tap into this complex demographic. Maxus takes real data and uses it to precisely target messages, using that intersection of technology and media to reach the right people at the right time. Local marketing is growing as an increasingly critical component of personalized engagement with customers. Yet the second annual Ad Age-DAC survey of marketers found that some are pulling back just when they need to be investing more in local. Why? Because they view local as too hard—but those marketers that neglect local for short-term ease will lose out in the long run. 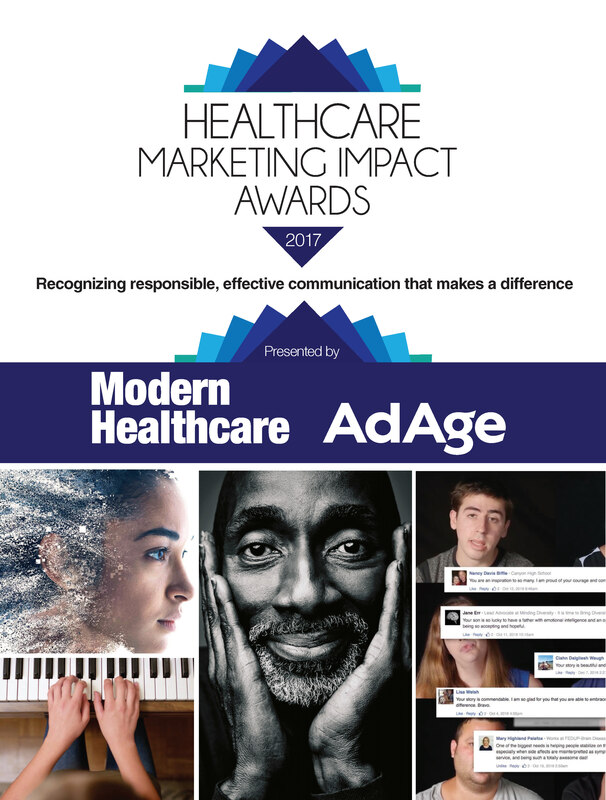 The Healthcare Marketing IMPACT Awards recognize the most creative and innovative campaigns across the industry. Modern Healthcare and Ad Age are proud to spotlight marketing programs that embrace new methods for reaching consumers. 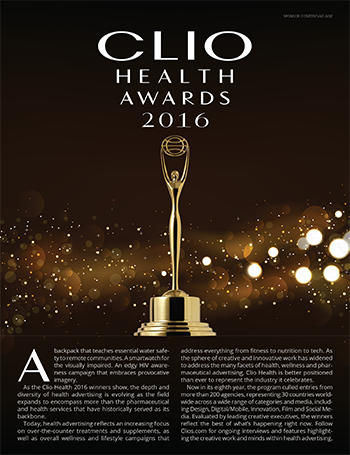 With the spotlight on the Grand Clios and the Best of the Year Awards, the Clio Health Awards 2016 winners demonstrate the depth and diversity of health advertising as it evolves to encompass more than the pharmaceutical and health services that have historically served as its backbone. 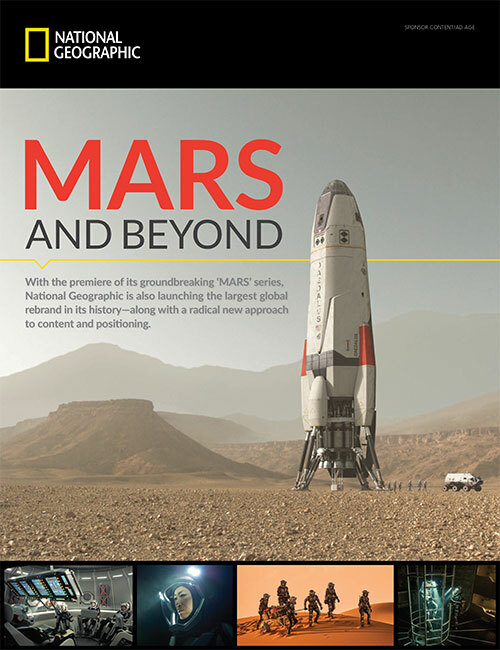 National Geographic is launching its groundbreaking “MARS” series—and unveiling the largest global rebrand in its history. Leading with the tagline “Further,” the network is rolling out a radical new approach to content and positioning across its many platforms. 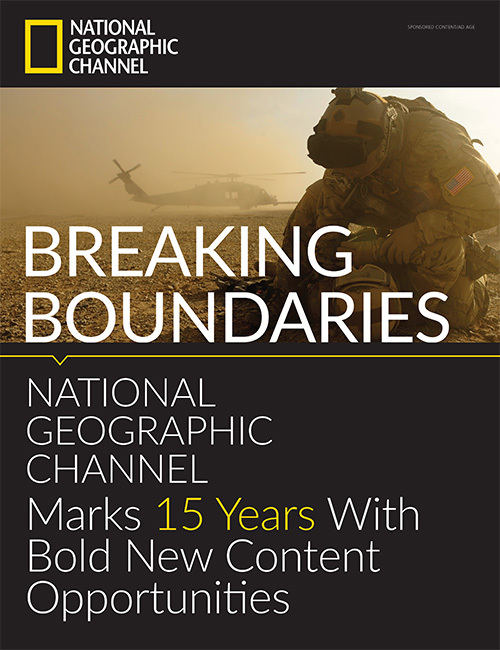 Celebrating its 15th anniversary, National Geographic Channel is preparing to raise the ante with a major commitment to top-flight programming to draw in even more viewers while opening the door to expanded tie-in opportunities for marketers looking to partner with the well-respected brand. USA TODAY takes a look back at some of the leading US creative work that was honored at 2015 Cannes Lions International Festival of Creativity. 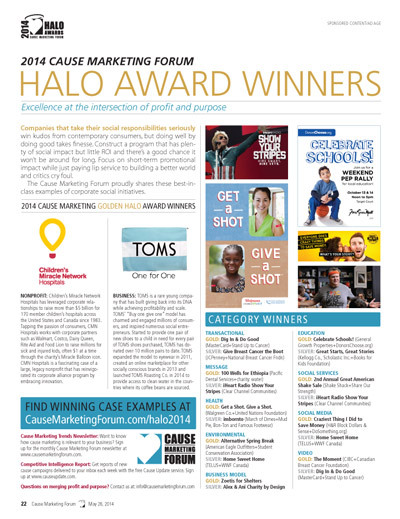 The Cause Marketing Forum presents these best-in-class examples of corporate social initiatives. See how marketers are teaming up with nonprofit organizations to do well by doing good. 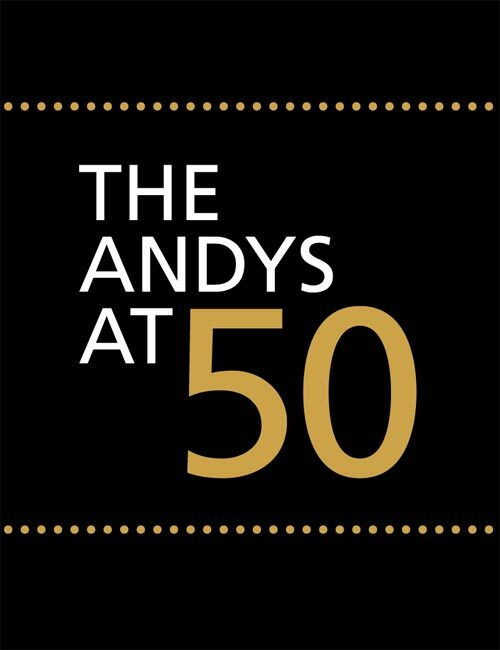 Marking five decades of its International ANDY Awards, the ADVERTISING Club of New York is celebrating creative excellence in advertising in all media and the role that bravery continues to play in pushing truly groundbreaking work. Originally a sail- and flag-maker in Detroit, George P. Johnson Co. today has evolved into one of the leading experience marketing agencies in the world by creating cutting-edge physical and digital experiences that engage both consumer and b-to-b audiences, and by pushing innovation to help business leaders understand how the discipline can work for them. Comcast Spotlight started out 10 years ago building connections to help advertisers reach local cable TV viewers. Today, its mission is to simplify local cable ad buying in an increasÂ­ingly fragmented media marketplaceâproviding a way for advertisers to stay seamlessly connected to cable content no matter where or on what device itâs viewed. The 4A's Multicultural Advertising Intern Program celebrates its 40th anniversary as 114 college students wrap up internships at 73 agencies across the country this month. The program offered hundreds of hours of training and professional development to students with the help of thousands of hours of screening, guidance and mentoring provided by industry professionals. The American Advertising Federation is honoring seven individuals and one corporation for contributions to the advertising industry and to society. They join 215 other legends and three corporations in the prestigious Advertising Hall of Fame. Using creative advertising, FedEx has built a business that is more than a delivery service. Through its relationship with longtime agency BBDO, the company has established a brand that helps its customers "connect to the world." Cartoon Network is marking its 20th birthday and it has cause to celebrate. In just two decades, it's grown to reach 367 million households in 178 countries and 26 languages, thanks to its unique programming and savvy marketing tactics. As the media agency turns 10, it takes a look at the evolving agency business and what matters to clients now, supporting its position with an exclusive Advertising Age/Erdos & Morgan survey. Personal service, agility, creativity: A small agency has a lot to offer marketers in today’s fast-paced, quickly changing environment—starting with its size. In fact, a small agency can benefit its clients in big ways. More and more, marketers are recognizing that small agencies are not only nimble, but often highly creative and innovative. 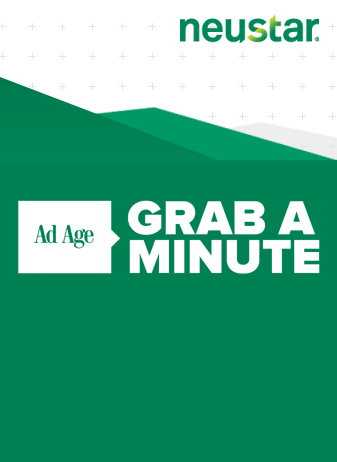 The 2016 Ad Age Small Agency Guide is here to help you find the right partner. Finding the best agency partner for your B-to-B marketing efforts can make all the difference to your brand. 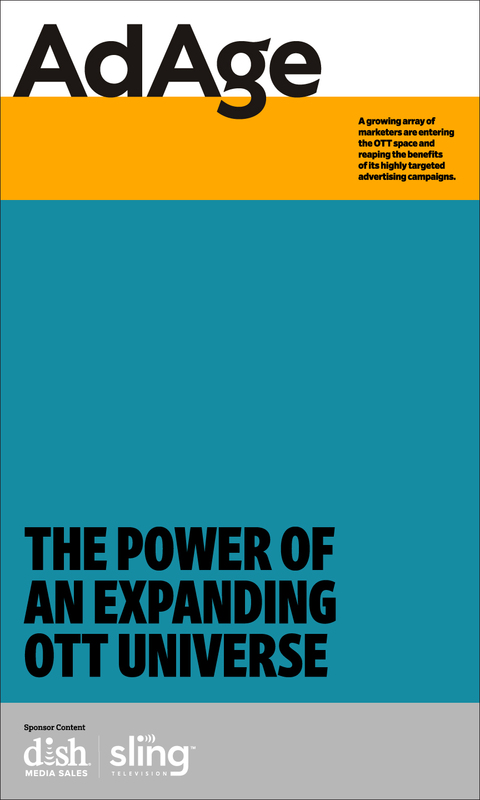 In Ad Age’s B-to-B Agency Guide for 2015, we give you all the information you need to make the right choice. 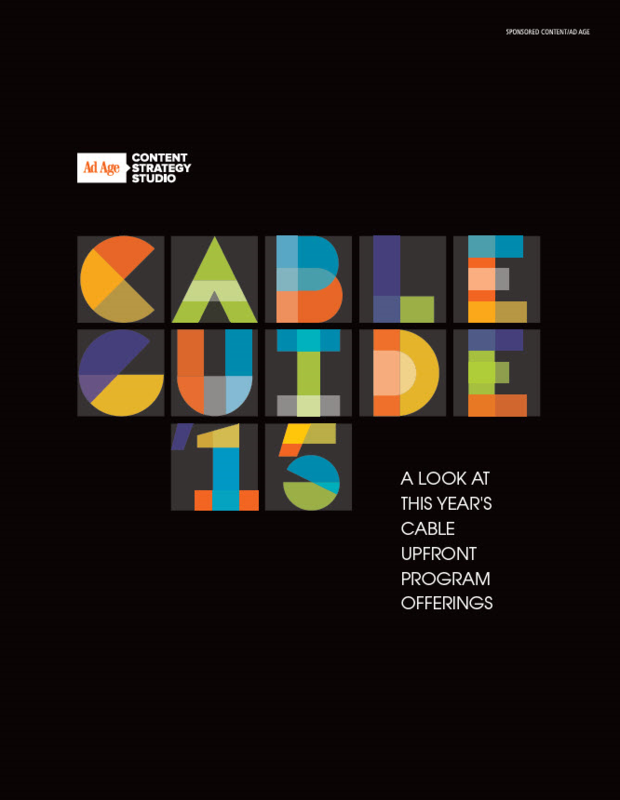 The 2015 Cable Guide provides a look at leading cable networks and the top trends affecting the upfront market. Individual profiles explore the integrated media opportunities each network offers and highlight each network’s programming and audience. When it comes to achieving your Big Data goals, choosing the right partner to work with is critical. 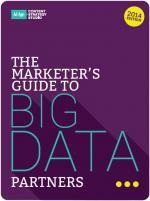 To help you succeed, here are the nine key categories that marketers need to understand along with profiles of companies in each area that can help you make the most of your Big Data opportunities. Any marketer can develop content, but creating high-quality, compelling material requires finding the right partner for your needs. Reaching the right audiences in the new digital world is crucial for marketers today. Ad Age's Audience Buying Guide offers profiles of ad networks, platforms and solution providers to guide you through the many choices available. Seeking your ideal marketing match in an agency partner? Look no further than BtoB's Guide to Agency Engagement. Social media is connected to everything marketers do today, but figuring out what's what can be daunting. 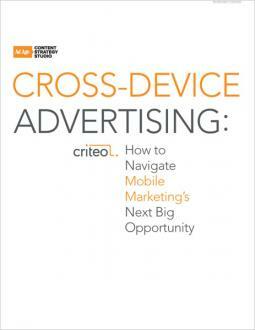 Ad Age's Social Media Spotlight can help you make the right choices for your brand. 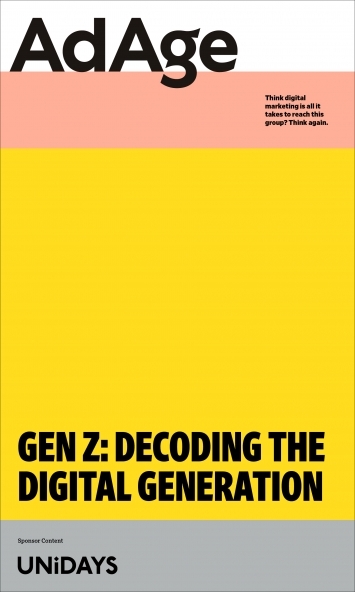 Gen Z is coming of age, and marketers need to pay close attention to this upcoming generation of influential consumers. 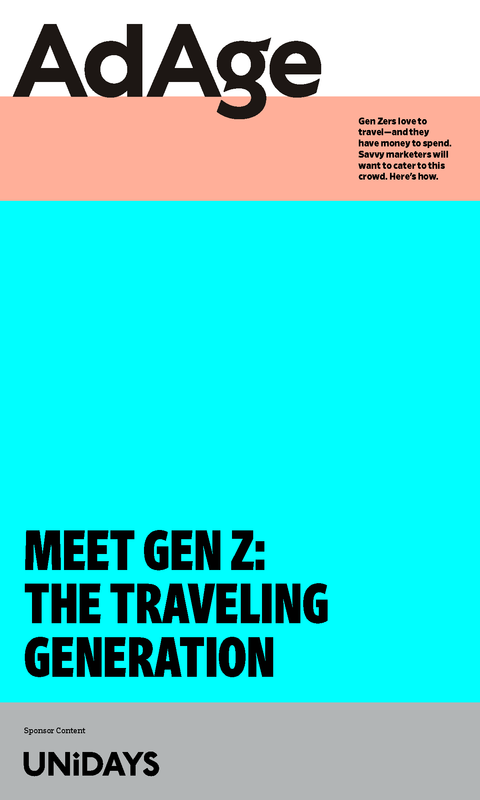 Throughout the year, we’ll be offering new looks at what Gen Z wants in different life areas based on exclusive research. Sponsored by UNiDAYS. Customer loyalty can be the most difficult thing for a brand to achieve amid today’s myriad choices and options. 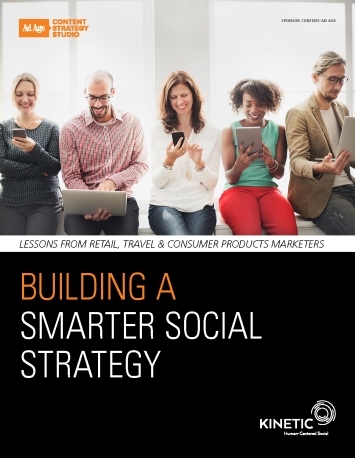 But smart marketers can engage consumers and build loyalty all along the path to purchase—if they think of it instead as the path to loyalty. Here’s how. In this series, which profiles some of the industry's most visionary digital executives, watch and read about how agency and brand leaders are pushing the boundaries in digital marketing. Join us as we "grab a minute" with some of the smartest minds in the business to hear their thoughts on the state of marketing and media-and where it's headed. Come back throughout the year for exclusive backstage video interviews from Ad Age conferences. You can't reach the modern man unless you understand him. As an advertiser, you need to know not only how much disposable income he has, but also how he spends his money and his time. In this section, learn about what makes the modern man tick--and how to reach him. For more information, contact Kerri Ross at [email protected] | 212-210-0160. Copyright © 2009-2019 Crain Communications, Inc.